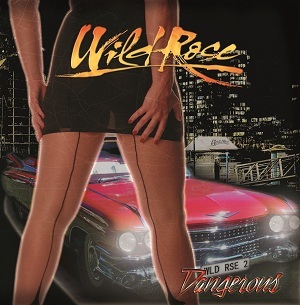 Greek AOR band Wild Rose formed in 2004 and released their demo in 2005 before following this up with a single in 2006. After that they were quiet for several years, partly due to two members of the band having to carry out military service, so it wasn't until October 2011 that they released their debut album - half past midnight. Since then they haven't wasted any time and at the start of 2013 are ready to release their second album - Dangerous. The Greek music scene seems to have been growing in prominence in the last couple of years. Before then most rock fans would have struggled to name a single Greek band other than Firewind, but Wild Rose are probably around the tenth Greek band I've listened to in the last six months, and the standards have been extremely high.